Richa Shah’s list of accomplishments is nothing short of impressive. 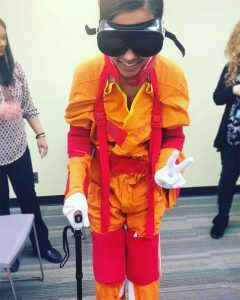 At 26 years old, she’s a newly registered Respiratory Therapist (RT), self-taught dancer and the recipient of the 2018 President’s Scholarship at The Michener Institute of Education at UHN. Established in 1997, the President’s Scholarship is presented to a student in their graduating year who has contributed to student life, demonstrated leadership and set an example as a team player in the lab and classroom. 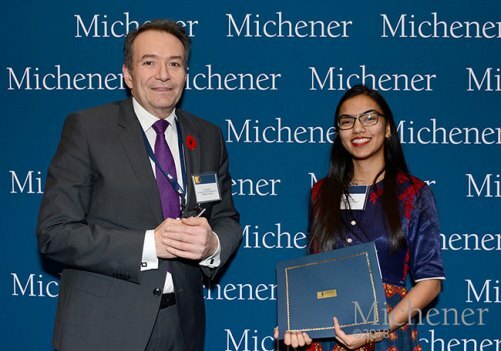 Prior to studying at Michener, Richa had completed an Honours Bachelor of Health Sciences at Western University and began working as an Administrative Assistant to a family physician shortly after. While considering what to do next, the doctor she worked with encouraged her to consider Respiratory Therapy. Throughout her time in the RT program, Richa always looked for ways to get involved in the Michener community. She joined the Charity Committee and held executive positions as both treasurer and vice-president, volunteered to be part of a research group that collects data for the Hospital for Sick Children, was elected by fellow peers and faculty to join the Canadian Society of Respiratory Therapists Board of Directors, participated in the CHEST Conference in Toronto and played an integral role supporting the annual Respiratory Therapy Week. Richa says the initiatives taken on by the Charity Committee were some of her favourite Michener memories. “The best part about the Committee was that individuals from different programs joined together, and that’s how I started to know people from outside of my program,” she says. In particular, she recalls the group stitching surgical dolls from scratch for patients through Project Sunshine, an international non-profit organization that provides free educational, creative and social programs to children facing medical challenges. Having graduated from Michener this past June, she now works as an RT in a casual position at William Osler Health System and a part-time position at West Park Healthcare Centre. 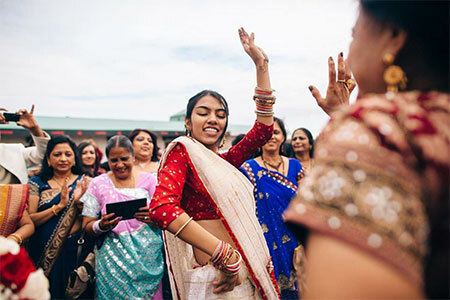 In her free time, Richa loves to dance and has even been asked to perform at weddings and other events. Though she has a lot to juggle personally and professionally at the moment, she hopes to become involved with one or more of the Respiratory Therapy regulatory bodies in the future and is looking forward to marrying her fiancé in February 2019.